Are you feeling that strange combination of tired and restless at the same time? It's easy to get out of balance, especially at this time of year with the swirl of holiday planning and consuming; joyous as it may be, it still taxes the nervous system. At years' end and beginning, it's a great idea to press the reset button. This workshop is the answer! 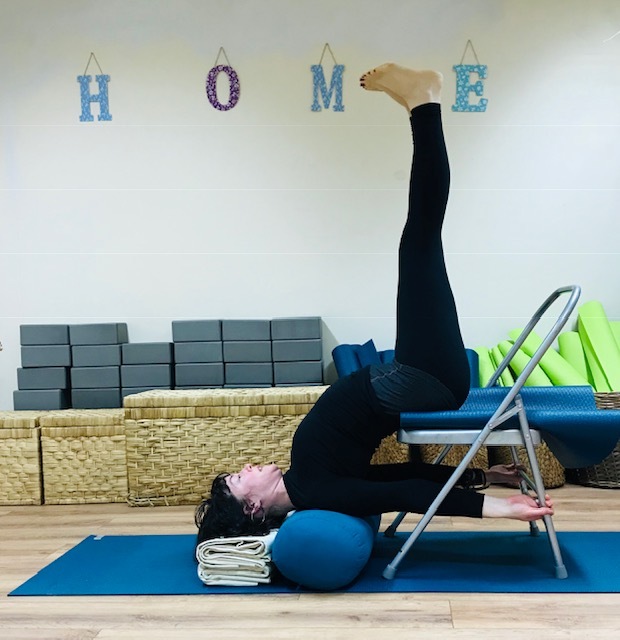 You can reset, refresh and renew with DYNAMIC REJUVENATION, a series of restorative sequences, backbend, forward bend, twisting postures and supported inversions as you may not have experienced them before. Restorative poses don’t have to be passive, in fact, some effort is required to prepare the body to restore, replenish and receive the deeply beneficial and transformative power of the yoga practice. By using props to support your postures, you will balance your nervous system, create space for your breath to move deeply into all the places it is needed and allow time for the mind to quiet down and the heart to open up. Following a full 20-minute savasana to integrate all the dynamic rejuvenation, you'll leave feeling well rested and nourished on a deep level. Price: €30 for single workshop/€50 for two workshop pass/€65 for three workshop pass/€80 for four workshop pass | passes can be used for all Yoga Home Sligo 2.5 or 3 hour workshops excluding special Christmas Yoga workshops.